"Generations of Faith in Action"
St. Mark’s takes great pride in its youth. We celebrate Youth Sunday on the last Sunday of every month. 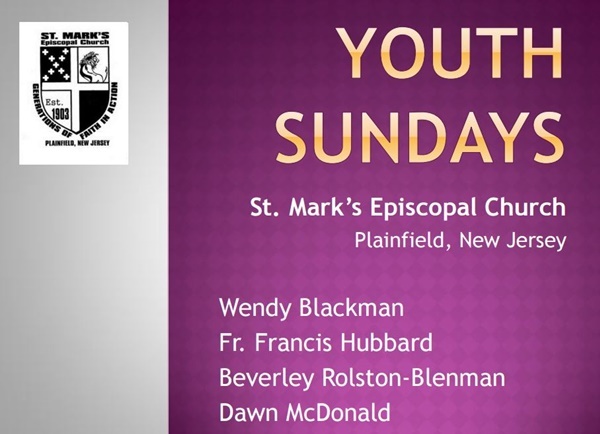 Youth Sundays at St. Mark’s have been described as “Liturgical Feasts.” This presentation describes our Youth Sunday services and all the other youth inspired St. Mark’s programs and activities that make our monthly Youth Sunday services so wonderful and inspiring. 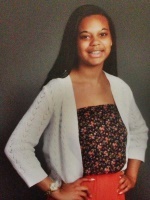 Michele Lett is a senior at Bishop AHR High School in Edison. NJ. She is a lifelong member of St. Mark’s. She currently serves on the Youth Council of the Diocese of New Jersey. Michele is very active in the life of St. Mark’s. She has been a member of the Sunday School for many years and regularly serves as a volunteer teacher. She is in the St. Mark’s Praise Dancers. Michele delivered an outstanding sermon at St. Mark’s for Youth Sunday on October 27, 2013. Read and enjoy! ©2011 | All Rights Reserved.